Courtesy of WALTER BIFF BOND, Century 21 A Better Way. Energy efficient townhouse. Great floor plan, low utility cost. Close to shopping and major highways. Not completed yet so there’s still time to pick colors and flooring, but hurry! 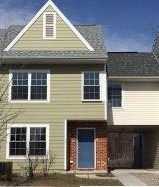 Please, send me more information on this property: MLS# PACB109052 – $159,900 – 25 Parkview Drive, Carlisle, PA 17013. I would like to schedule a private showing for this property: MLS# PACB109052 – $159,900 – 25 Parkview Drive, Carlisle, PA 17013.